Take screen shots, record gameplay of any video game and customize output settings with Fraps. A fast, light and intelligent utility to record computer’s desktop screen easily. 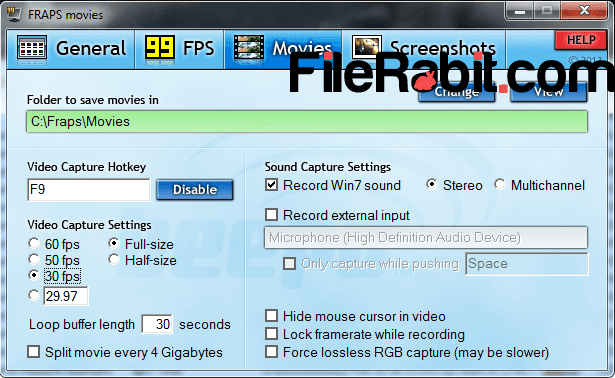 Fraps can take screenshots in different file formats, record video with full custom settings for speaker and Microphone. However, Fraps is smartest application that is simple to install, faster to run and responsive in use. The output file size of both screenshots and gameplay video will be higher that shows the quality of targeted file. Furthermore, VirtualDub is another smart video converting utility that is mostly used to reduce output file of Fraps. The screenshots can be reduced through Photoshop, Windows Paint or online web image compressing sites. 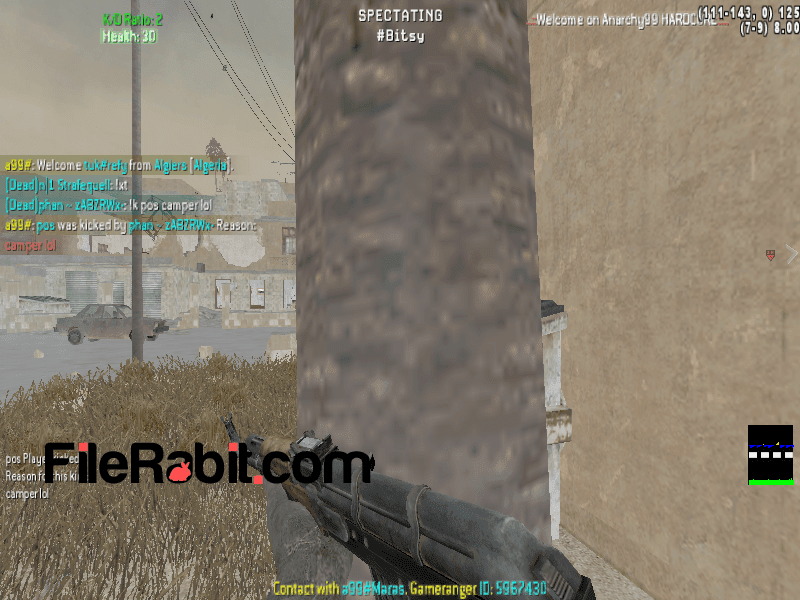 Moreover, Fraps can customize video size, loop buffer, fps value, split movie into multiple parts after every 4GB, lock framerate, hide mouse cursor and RGB capture as well. Actually, screen capturing is not an easy task especially recording video while playing a video game. Fraps is one of leading video game recorder which do not put any logo or trademark on video screen but the Bandicam is putting logo in free version. Thousands of gaming channels on YouTube and pages on Facebook were publishing dozens of gameplay video clips from Grand Theft Auto, Call of Duty, Counter Strike, Battlefield and more. The screen shows FPS (Frames Per Second) which can be placed any corner of gameplay screen. Fraps will never reduce your FPS because the engine is smart and intelligent. The FPS value can be changed to custom value as well as you can hide mouse and FPS value from video screen. The maximum value of FPS is 100 which is supported by Fraps. Fraps will also save screenshots with putting exact date and time value. It will save output images in PNG, JPEG, BMP and TGA formats. Check “repeat screen capture every 10 seconds” will continue saving screenshots until the shortcut key will be pressed again. This will give an idea to bust hackers and cheaters but the proper way used to find wall bang is “Moss”.